Your morning roundup for Dec. 14, the day we learned how to legally maim your children. 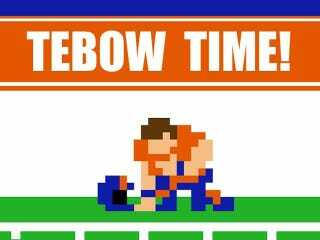 Image via TecmoBowl.org (H/T Owen Good). Got any stories or photos for us? Tip your editors. What we're watching (all times EST, unless noted): First round of the Dubai Ladies' Masters in the Ladies European Tour at 3 (same-day tape, Golf Channel). Cincinnati at Wright State at 7 (ESPN2) and Florida International at Maryland at 7:30 (ESPN) in men's college basketball. Chicago at Minnesota in NHL hockey at 7:30 (Versus). First round of the JBWere Masters in the PGA Tour Australasia at 8:30 (Golf Channel). Tennessee at College of Charleston in men's college basketball at 9 (ESPN2).